Not everyone has a bright past, certain people sometimes have a dark and are very scary past. Whatever past we experience, of course, it will shape us, our soul and our personality. 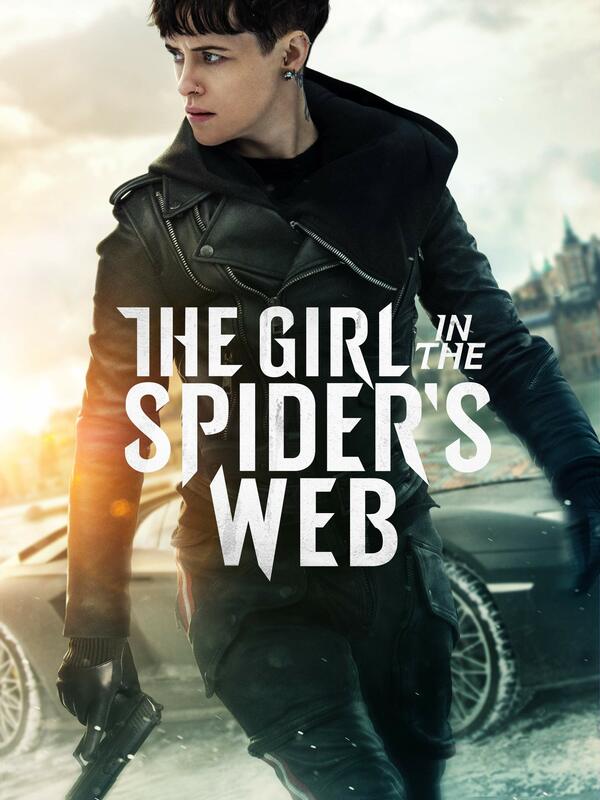 Well, this is what is shown in the latest movie The Girl in the Spider’s Web (2018) played by Clara Foy, a tough woman because she has faced various difficulties from her past. For those of you who have watched The Girl with the Dragon’s Tattoo (At that time Lisbeth Salander was played by Rooney Mara), maybe you want to look back on the action. I will review a little more about this movie. Lisbeth Salander (Claire Foy) was a woman who had been recruited by Frans Balder, it happened when she was fired from the National Security Agency. Lisbeth was assigned to take a computer program, FireFall. The application that can be used to activate nuclear weapons from all over the world. In this movie, we seemed to be notified, that all technologies that use fiber optic facilities can be hacked from anywhere. Well, that’s will be served and become the mainstay of the entire contents of this movie. Frans Balder (Stephen Merchant) is the creator of the application. Then Frans was scared because he had created the program, he felt his program could destroy the earth. Therefore, the only way is to destroy FireFall to prevent the destruction of the earth if those goods held by irresponsible hands. For the movie genre, I myself am still confused, first because Lisbeth is a female superhero but has a trauma with her past. Besides that, Lisbeth is a female hacker who understands various technologies and uses it for her interests. So, for this movie genre, I can say it is a mixture of thrillers, action, and SciFi. You can add it too. In fact, some people also say that this film is similar to the action of James Bond or Batman-The Dark Knight. I myself agree with that statement because I saw the storyline and Lisbeth’s actions which were almost similar by. An interesting story that I managed to capture from this movie is a story full of intrigue, chaotic family relations because her father and her sister are psychopaths. But, in acting, I’m sure you will be fascinated with Claire, we cannot guess what she is thinking and what she will do. This movie has an interesting ending that satisfies the audience. The seconds of Edwin Needham’s presence surprised us because we had completely forgotten to his figure. Edwin Needham (LaKeith Stanfield) is an IT expert from the National Security Agency (NSA), he was included in the story of Salander because he felt threatened after losing the FireFall application that he had protected for a long time. Oh, I forgot, there is one more an amazing role from a journalist Mikael Blomkvist (Sverrir Guðnason) who accompanied Lisbeth in solving her case. Mikael had been successful because he told Lisbeth’s story in a magazine. So, the movie noir that involves hackers is suitable for you to watch with your friends and partner. Many surprises from this movie, especially if you have watched The Girl with the Dragoon’s Tattoo. Have a good time watching! Great review about this movie! Interesting movie, a combination of thriller, science, technology and the future is also the other side of the female character behind her prowess as a hackers. A good ending is always a satisfying thing for audience. but for me personally prefer things that hang as the end because it will be the questions that there is no answer. Thanks for join here @james diegel. Oman keren film nyoe, sang payah ta nontong. Nice review bro!